If you like Romanian recipes but you haven’t tried this one yet, then you don’t know what you’re missing. 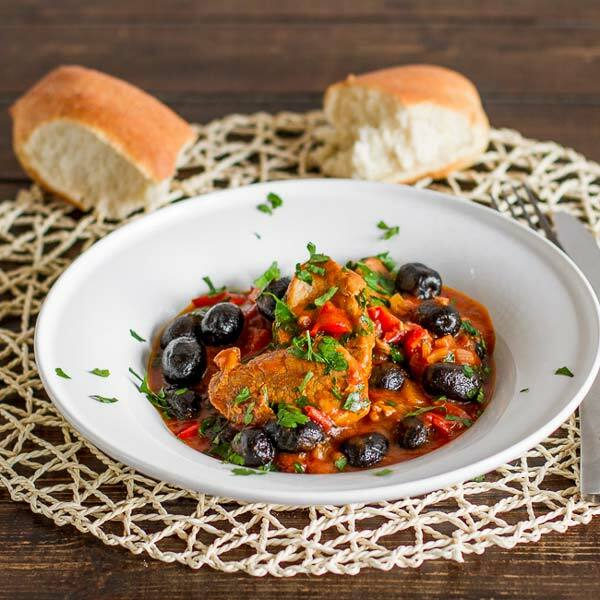 One of my favorites, pork and olive stew is another dish that used to show very often on my family’s lunch table. 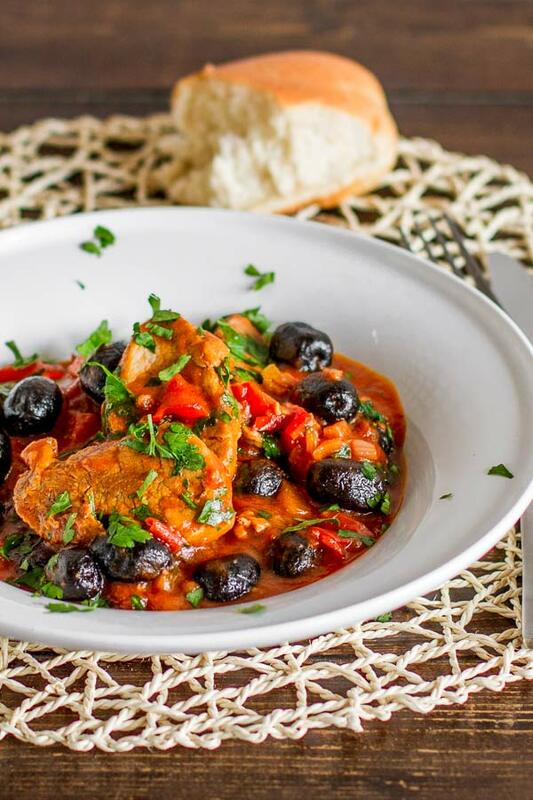 Unfortunately, since I left home, I did not have the chance of enjoying this dish again, wife never liked the idea of having cooked olives in her stew so I decided to show her what she’s missing. In short, I took the matter in my own hands and after a lot of asking around, my mom, relatives, friends, I came up with this recipe which is a bit different than what I was used to but, heck, I like to complicate things sometimes. Making a stew, is not a big deal, but getting a recipe from my mom, is like stepping into a different world. Ingredient list is more of a guideline and quantities… enough said, there is no conversion system invented yet for her recipes. Still, she is one of the best cooks I know (wife too… nice save!) and after long inquiries, this is what I ended up making. Now, if you like the way it looks in the picture, it was way better in reality, even those “against trying new things”, loved it. On a final note, one of the ingredients that I use, is Moroccan sun-dried black olives . They look skinny, wrinkled and pretty pathetic, but they have the best taste of all the olives I tried and they will get fat and gorgeous after cooking. Enjoy! Place the olives bowl filled with cold water, to remove some of the saltiness, soak them for 30 minutes, after which drain them well. In a large skillet or a dutch oven heat 2 to 3 tbsp of the olive oil over low heat. Add onions, bell pepper, tomatoes, garlic, and carrot and saute for 3 to 4 minutes after which you add the white wine. When the alcohol has evaporated completely, add half a cup of tomato juice mixed with 1 cup of water, bay leaves and season with pepper. Cover the pan with a lid and let the sauce simmer on low heat until the vegetables begin to disintegrate, about 45 minutes. From time to time add a bit of water to retain a relatively liquid consistency. In a separate pan add remaining olive oil and when it's hot add the pork slices. Fry them on both sides until golden in color and cooked through. Remove from pan and place them on paper towels to soak up some of the oil. Remove bay leaves from the sauce. Add remaining tomato sauce with half a cup of water. Add pork to the sauce and olives. Season with salt if needed. Cover the pan with a lid and let it simmer for another 15 to 20 minutes until the sauce reduces a bit.